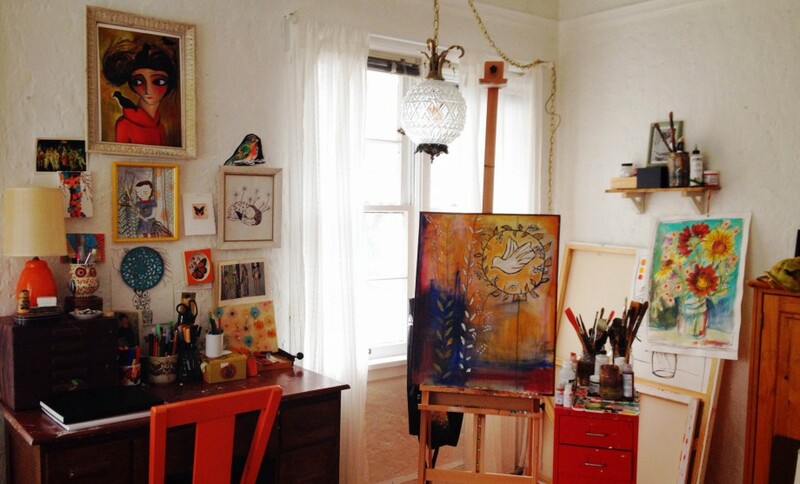 Last Friday I spent a few hours with my friend Val painting a small wall in her studio space. 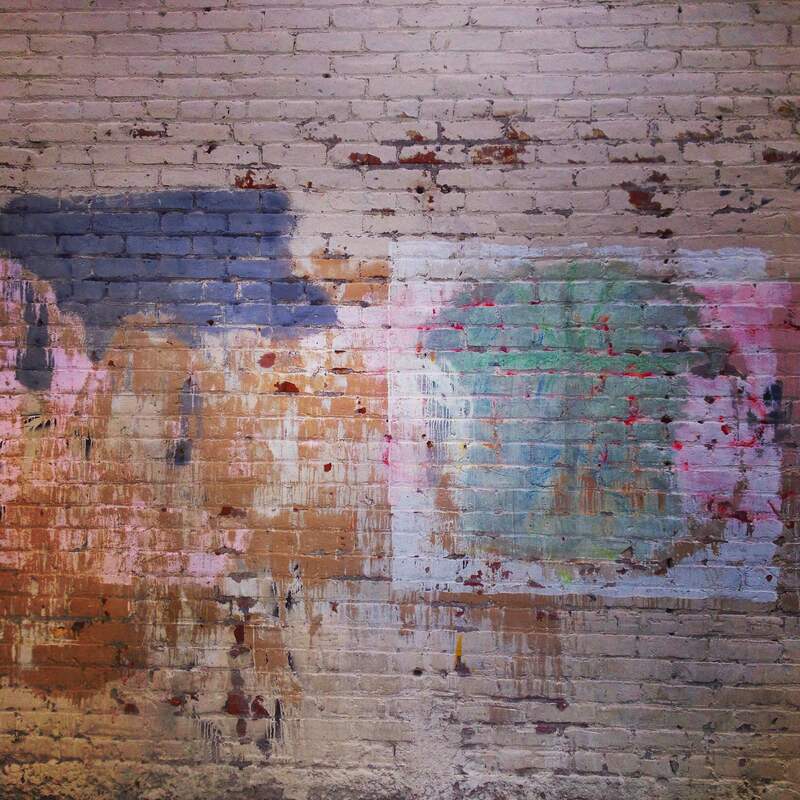 On my walk there I saw this beautiful abstract remnant on the side of an old building. It was fun doing a quick collaborative painting! 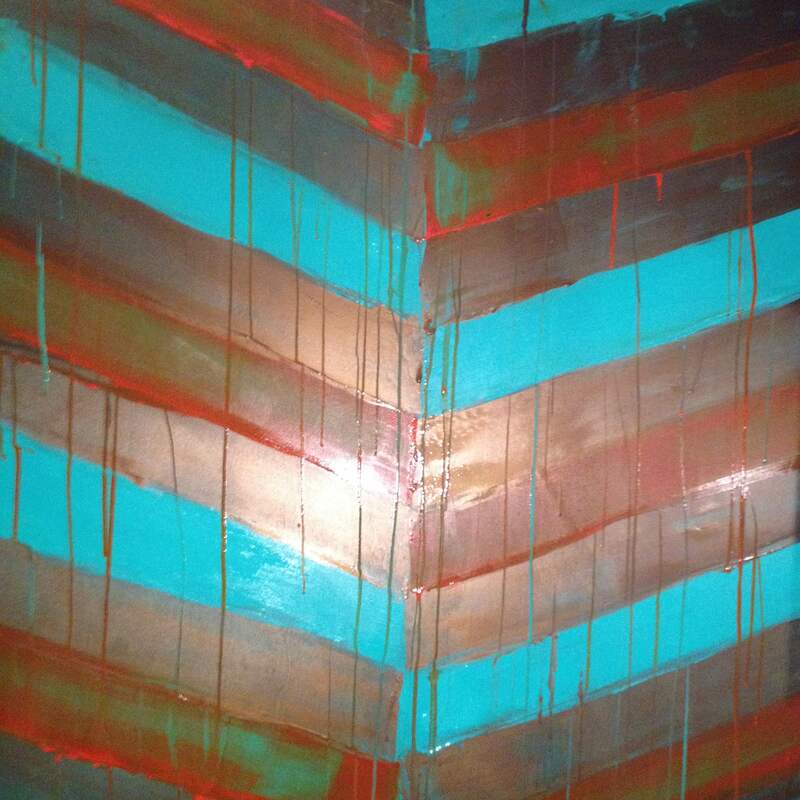 What turned out was a wall full of orange, turquoise and bronze drippy chevrons. Below is a small part of our lovely masterpiece! I have had this large empty canvas (48×60 inches) sitting near my easel for about a year now. I have been somewhat intimidated by its vast size and yesterday i decided to let that insecurity go and just see what happens. A few years back I had this vivid dream where i was standing in a forest looking up at the sky and instead of there being just one moon, there were numerous moons in all her different lovely phases. I have no idea what it will evolve into just yet, but i am happy that i have finally begun working on this surface, it feels liberating. 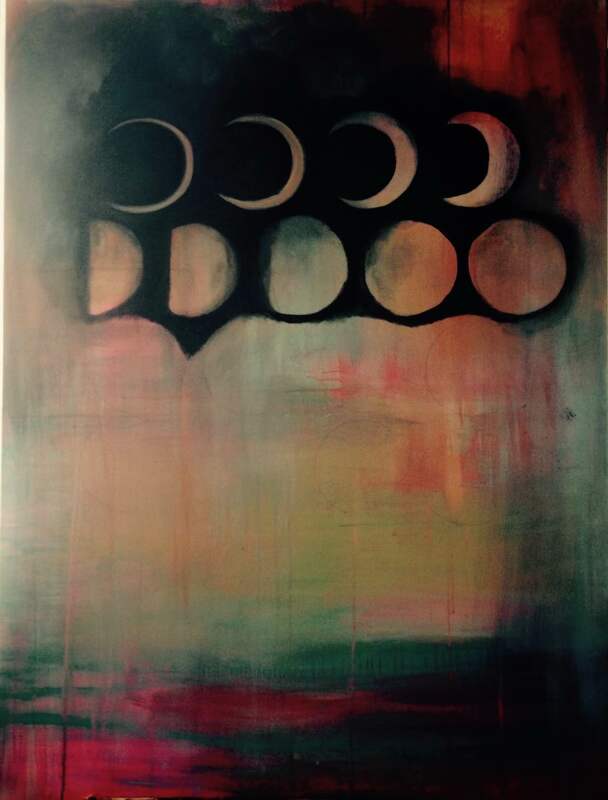 This entry was posted in art, dreams, inspirations, workingartist and tagged abstract, acrylic, art, artist, artwork, canvas, collabortive, colors, dreams, drips, imadethis, inspiration, mixed media, moonphases, painting, remnants, whimsicalmusings, workingartist. Bookmark the permalink.